We've now seen three teasers of the upcoming Pagani Zonda replacement, dubbed "Huayra," or "C9" internally. The official details and images have yet to be released, but it appears that the first uncovered image of the Huayra has appeared on the cover of CAR magazine's Spanish-language edition. We still don't have any details about the new Zonda successor, though the magazine's cover lines tell us that the car will cost about 1 million Euros and production will be limited to 20 units annually. If this is the production car, we're certainly not unhappy about the addition of gullwing doors to the Pagani design, though that front end is indeed a bit... mouthy. We'll keep our eyes peeled for official images and data as the weeks progress. Your guess is as good as ours at this point for things like power numbers, 0-60 times and interior fittings, but since this car does replace the Zonda, we'd expect nothing short of earth-shattering figures. 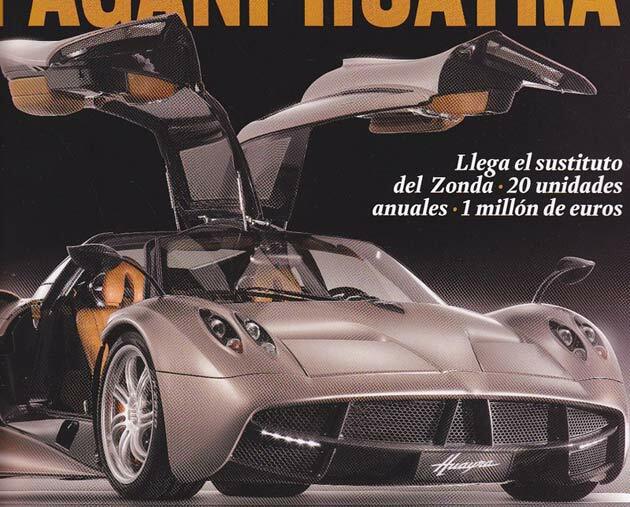 [source: Autoblog Spanish (translated)]Pagani Huayra leaked on magazine cover? originally appeared on Autoblog on Fri, 21 Jan 2011 13:01:00 EST. Please see our terms for use of feeds. For a million euros they can design better mirrors!!! Otherwise it's a nice car!!! lol the mirrors look like leaves on a branch.